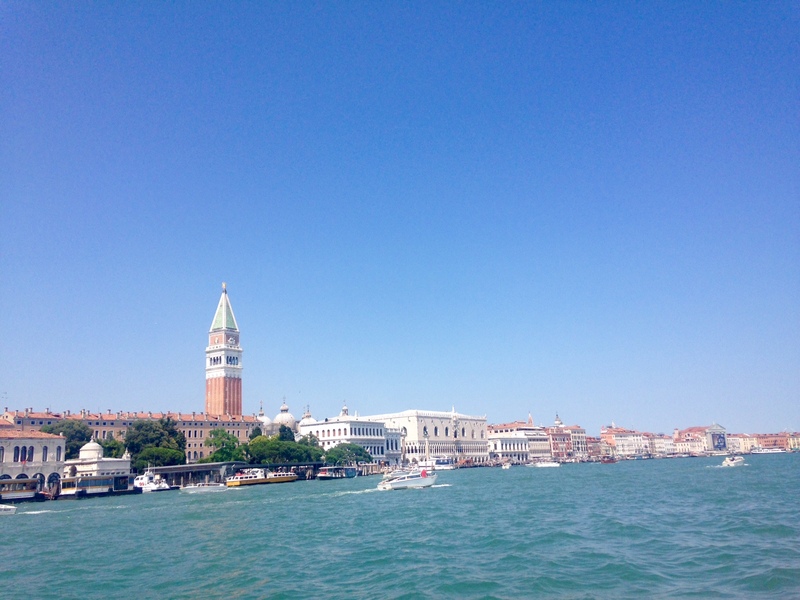 This July, I visited Venice for the fifth time in seven years. Over those five trips, I have fallen in love with Venice, with her backstreets and her broad canals, with her crowded buildings tumbling against one another and her crowds. This July, I visited Venice for the fifth time in seven years. Over those five trips, I have fallen in love with Venice, with her backstreets and her broad canals, with her crowded buildings tumbling against one another and her crowds. After writing my article, "Venice: Must Sees and Mystique", I began to wonder what I had missed on my previous trips. Here are five tips on what to see and do off the beaten track from the eyes of two locals who have lived in Venice their whole lives. Many thanks to Alex and Max, the two Venetians from the Hotel al Ponte Antico who showed me -- and now you -- their favorite spots to catch a glimpse of the true Venice. Cross the Ponte Academia and head the opposite direction of the Guggenheim Museum and the crowds to Squero San Trovaso. On the corner before you reach the Gondola Yard, be sure to step into "MAX Studio" where Max creates soft watercolors and jewel-colored masks. If you are looking for a memorable piece of Venice to bring home, invest in one of his unique, affordable, and hand-made masks. Continue onto the next street and stroll along the canal to Cantine del Vino Gia Schiavi for lunch. A hotspot for locals, this enoteca sells fragrant, fresh glasses of wine and crostini with a mouthwatering assortment of flavors from ricotta with pumpkin to nettle and asparagus. Across the street is the Gondola Yard, the sleek boats turned on their sides, open warehouses of tools framing the image and seagulls flying in and out. As with the best experiences, this one is about the journey and delicious and delightful discoveries along the way -- the destination is an added bonus. This palace in the Dorsoduro neighborhood, rented by Cole Porter in the 1920s, paints a portrait of Venice across history from her magnificent glass pieces from Murano and items owned by the nobility of Venice to the Third Floor which features art from the greatest masters of Italy and Venice. If you are looking to see the past grandeur of this historically rich city, this palace is the place to go. The naval yard of Venice, the Arsenale still buzzes with officers and the hum of the ocean. The main attraction is the architecture, with the primary building in typical Venetian brown and white with a star-studded sapphire blue face on its clock tower and a winged Venetian lion on its frontispiece. Two resting lions flank the doors and Roman gods look accusingly at visitors from their high and mighty posts. Weave through the streets to go behind the building and look out onto the sea for one of the most striking views in Venice. For a panoramic view of Venice, take a trip to the Punta della Dogana -- the view from which is pictured at the top of this post. Set in the shadow the powder white Santa Maria della Salute (Our Lady of Health: built to celebrate Venice's rebirth after a particularly deadly bout of plague), choose a spot on the stairs or the point itself to watch over "La Serenissima," Venice's beloved nickname: the "Most Serene." Local musicians play in the shade and in the background you can hear the hustle and bustle of Venice and blare of boat horns atop the ever-present rumble of the sea. If you are looking for the best spot in Venice for a photo of you and your partner or family, look no further than this point. From late afternoon sunlight to watercolor sunset to bright lights of night, there is no better place in Venice to watch Venice. Behind the Biennale and Parco delle Rimembranze is the Isola di San Pietro. In front of the Church is the only true "Campo" left in Venice. Centuries ago, every Church in Venice had a green area, or Campo, in front of it -- as you may notice, the many churches of Venice, with the exception of this one, are now fronted by concrete and cobblestone. To see the Venice of centuries ago, take a hike from the center of town to this beautiful outpost, frozen in time. What are your favorite local hangouts in Venice? Let me know in the comments!